The Huza Press Prize for Fiction 2016 shortlist was announced on February 28, 2017. 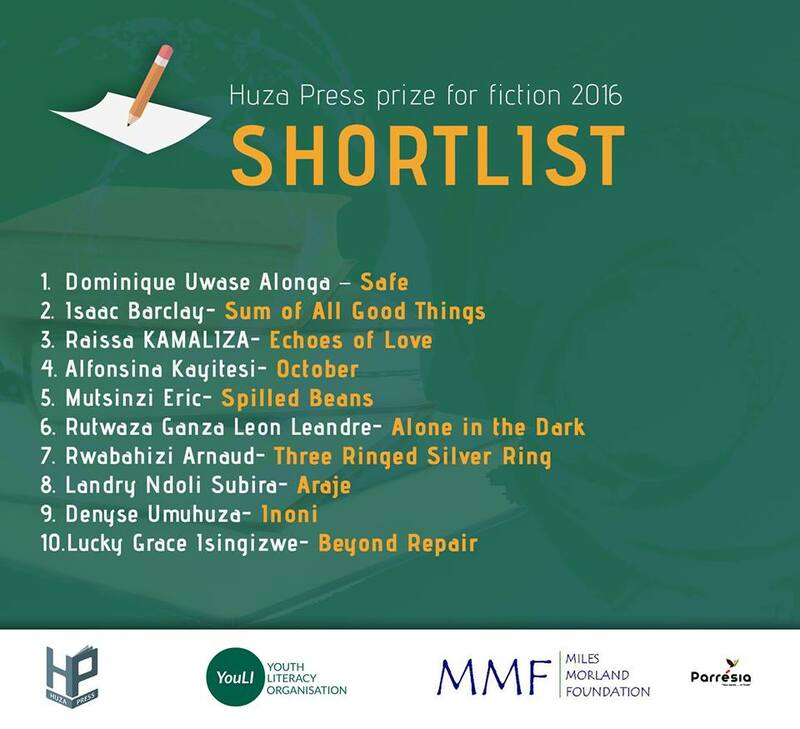 The good people at Huza Press Prize for Fiction 2016 have announced those in the running for the ultimate prize in Rwandan writing. The shortlist of ten writers was chosen by judges Paula Akugizibwe, Zukiswa Wanner, Richard Ali, and Felwine Sarr. The best story would get a cash reward of US$1,000 and the best ten will be mentored by some of the best writers on the continent. All of them will participate in regional literary festivals, think Writivism, Storymoja et al. The winner will be announced at a colourful ceremony later in the year.